A lone governess caught between memory and nightmare weaves a chilling tale made startlingly relevant as her sanity comes into question. Truth, it appears, is relative. 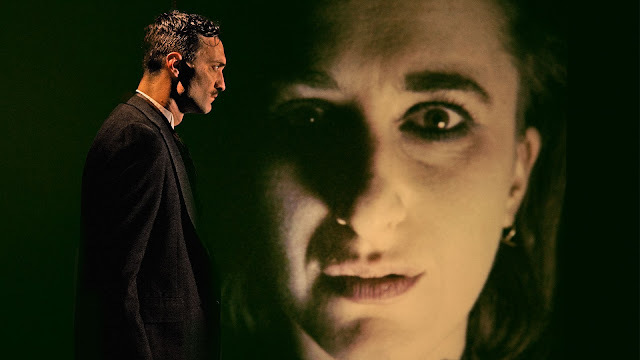 A seductive retelling of the Henry James classic by The Builders Association, Strange Window: The Turn of the Screw brings technological stagecraft to the traditional theater format. Context is everything, so we’ve provided some articles to read and videos to watch. After you’ve attended the show, let us know what you thought by posting in the comments below and on social media using #StrangeWindow. A deeper dive into The Builders Association’s unique retelling of The Turn of the Screw at BAM. The University of California, Santa Cruz gets a preview of Strange Window: The Turn of the Screw. A critical look at the continued relevance of The Turn of the Screw. The Builders Association’s artistic director Marianne Weems talks about her artistic process and the use of media in contemporary theater. What did you think? Tell us what's on your mind in the comments below and on social media using #StrangeWindow. It was not good at all. I was very dissapointed. Such a good novel, such a bad version. An excellent piece of art. I absolutely loved it. As much as I love “Next Wave”, I was disappointed in almost all the shows at BAM this year...Except for Pushkin theater. This particular one was ok to watch, but it was very forgettable.